Learning Critical Reflection documents the actual learning experiences of social work students and practitioners. It explores how a more in-depth understanding of the process of learning, combined with an analysis of how to critically reflect, will help improve the learning process. The contributors are all professionals who have learnt, in a formalised way, how to critically reflect on their practice. They speak in depth, and with feeling, about their experiences, how downsides and upsides worked together to transform the way they understood themselves, their professional identity, and their practice. 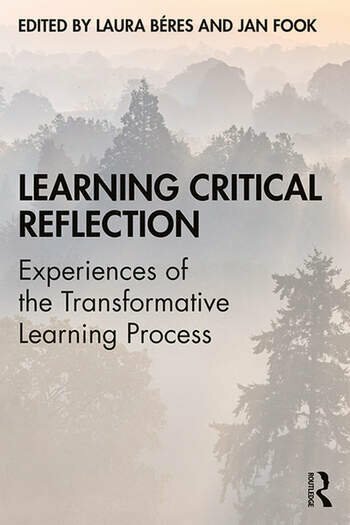 Existing literature about critical reflection is reviewed, identifying the details of learning, and pulling no punches in recognising the difficulty and complexity of becoming transformed through this learning process. The editors of this book also contribute their own reflections on learning how to teach critical reflection and include the findings of a research study conducted on students’ learning. Edited by two experienced educators, this book showcases the process of learning, from the perspective of the learners, in order that educators and students, managers, supervisors, and frontline practitioners alike, may make the most of opportunities to critically reflect in both educational and workplace settings. It should be considered essential reading for social work students, practitioners and educators. Laura Béres is Associate Professor in the School of Social Work at King’s University College in London, Ontario, Canada. She is known internationally for her work on narrative practices, spirituality, and the intersection of these areas with critical reflection on practice. Jan Fook is currently Professor and Chair of the Department of Social Work at the University of Vermont. She has held professorial positions in Australia, Norway, Canada and the UK in both Social Work and Education. She is most well known internationally for her work on critical social work and critical reflection.